Here’s what’s happening in the world of television for Sunday, March 18. All times are Eastern. 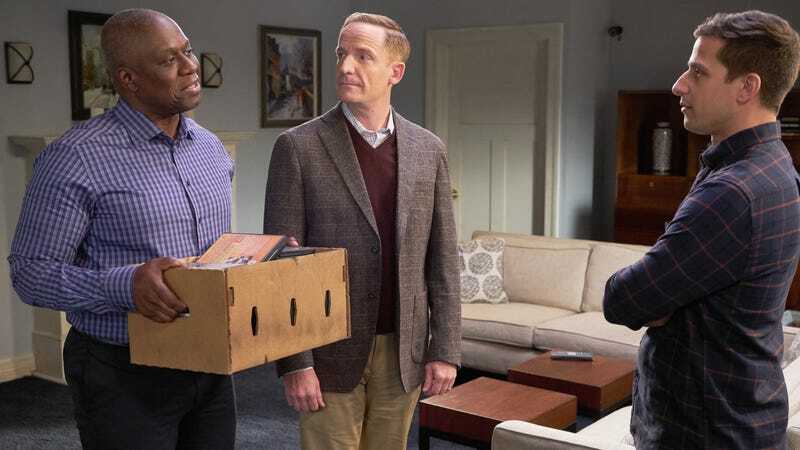 Brooklyn Nine-Nine (Fox, 8:30 p.m.): B99 moves back to Sunday nights, replacing freshman series Ghosted. The show last left us in a bit of a cliffhanger, as gangster Seamus threatened Captain Holt’s husband, Kevin. So now: “After Seamus threatens Kevin, Holt devises an elaborate plan to hide him in a safe house, using Jake as his guard; Kevin is miserable as the 99 works overtime to find Seamus and take him down.” We’re sure hilarious law-and-order hijinks are in store, and we’re just happy to have 99 back again. Hang in there, Kevin! March Madness (CBS, TBS, TNT, TruTV, various times): We hear there’s basketball going on or some such. Goooooooo… sports!